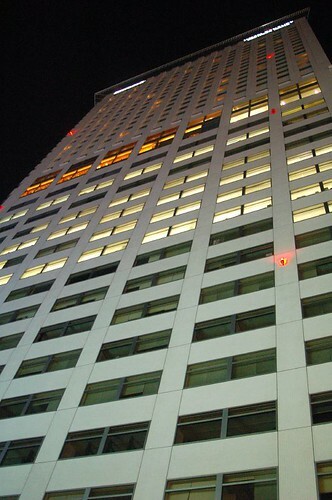 This is an image of Sunroute Plaza Shinjuku. Please follow my directions to get here. 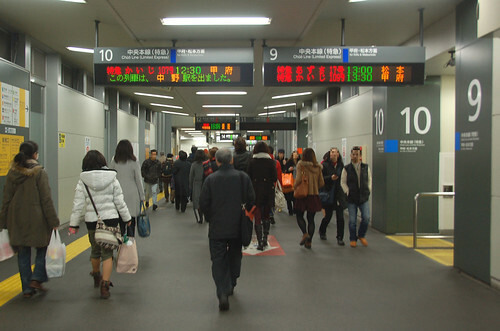 If you want to get to Sunroute Plaza without going up and down stairs on the condition that you arrive at Shinjuku before 18:00hrs, see this page. 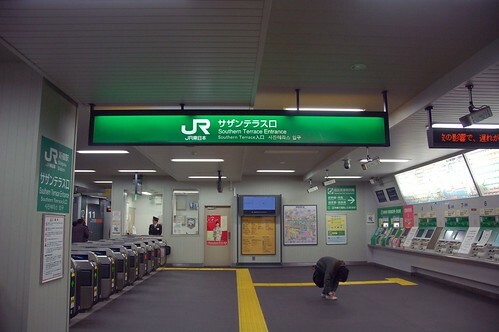 Check the Shinjuku Station Map. 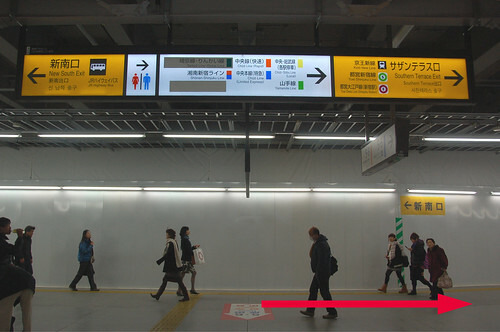 NEX will arrive at platform #5 or 6. These stairs lead you to Southern Terrace Exit. 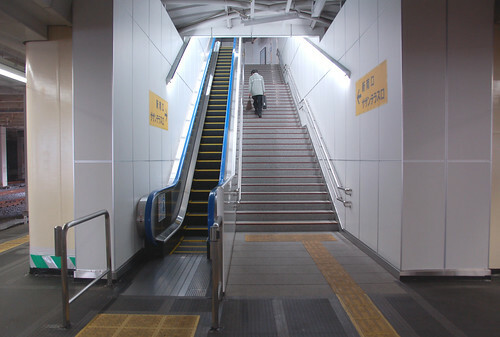 The escalator goes only downward until 18:00hrs, so you have to go up stairs lugging your luggage if you arrive before 18:00. Sign on the nearby pillar. As you reach the upper level, turn to the left. At the first corner, turn to the right. Keep walking to Southern Terrace Exit. 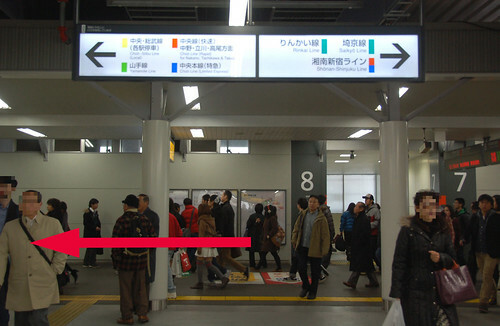 As you clear the ticket gate, turn to the left and go upstairs and turn to the left again. If you're staying at Sunroute Plaza, and you don't walk to go up and down stairs with luggage anymore, go to this page. 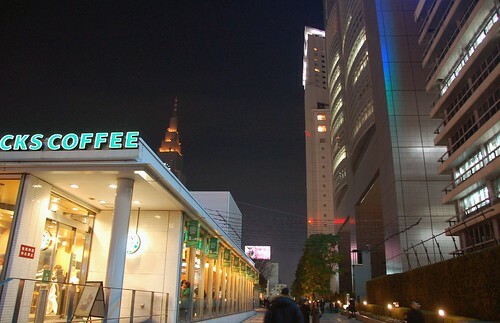 Soon after passing the Starbucks, turn to the right at the second building on this photo, JR East's headquarters and go downstairs. Then you are in front of the Sunroute Plaza. It's about a couple of minutes' walk from the exit. If you're going to Hotel Century Southern Tower, walk past the Starbucks and go straight on. 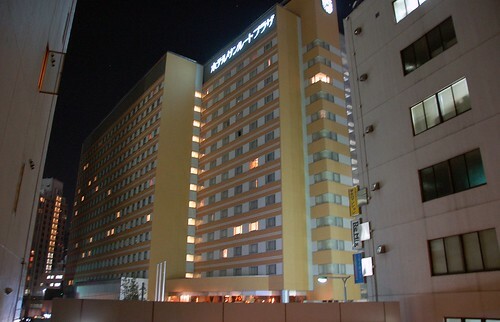 Then you are in front of Hotel Century Southern Tower. It's about a couple of minutes' walk from the exit. The reception is located on the 20F. Take the elevator at the back. Can I just ask you 1 question, do you remember how many steps of stairs there are going out of the station on to the street? Like to know because my luggage may be heavy, is there any elevators to the street level? 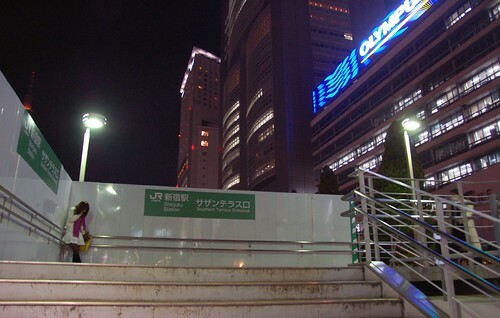 If you go the path in the link, from the Southern Terrace Exit to the Sunroute Plaza Shinjuku, there are no steps en eoute. Just wanted to say THANKS SO MUCH for creating these instructions! 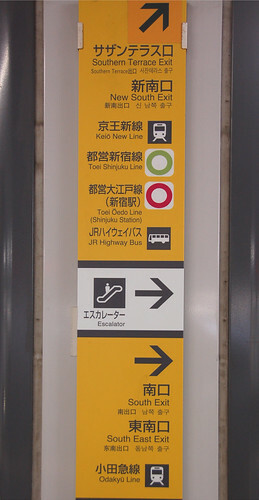 I had them printed and with my documents when we arrived at Narita Airport and followed it to a T. Greatest directions ever and i think we would have gotten lost without them! Thanks again! Hi I'm travelling with my husbsnd & a baby & toddler (& luggages!!). Just want ton confirm again from the pltform #5/6 to the sunroute shinjuku hotel, are there any steps based on your directions? 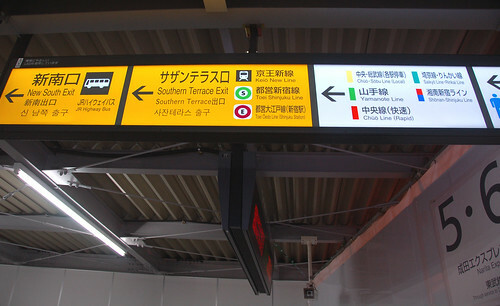 Thanks very much for these photos and info on how to get to the Sunroute Plaza Shinjuku from NEX! I'll print your instructions. Thanks for caring. Just got back from Tokyo. Having never been there before, I was a bit concerned about getting from Shinjuku Station to the Hotel Century Southern Tower (especially with luggage). When I found your blog entry, I printed everything out to take to Japan. Upon arrival, I literally felt as though I had been there before, thanks to your directions. They were super easy to follow. 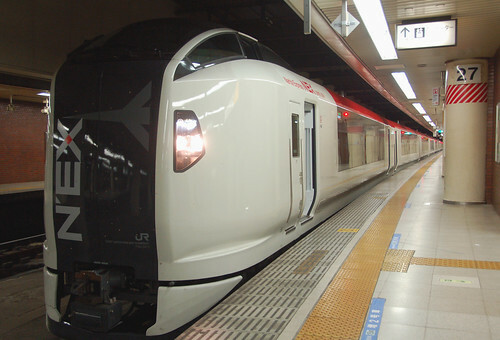 Thanks very much for these photos and info on how to get to the Sunroute Plaza Shinjuku from NEX!I really inspire to see express NEX. Thanks for the photos and instructions, I had been worrying and now I am more confident to find my way!! I would say that if you have bags, not to go towards Starbucks, but turn right out of the South Terrace exit, turn left at the street, go one block, turn left and go one block to the Sunroute Hotel. There are A LOT of stairs if you go the other way. You have done a great job! Nice article with all info! Hotels in kanyakumari I just love it.